Electromagnetic interference (EMI) can plague even the best microwave/RF designs and requires careful planning to control. Designers working with electromagnetic (EM) energy are constantly faced with the threat of leaks that could lead to stray EM energy making its way into other parts of a circuit or system. EMI can disrupt the performance of the circuit or system it originates from as well as other circuits and systems nearby. There are two basic approaches for reducing or shielding EM emissions from a device or system as well as improving its immunity performance. One approach is shielding at the printed circuit board (PCB) level utilizing proper design techniques. The other approach is to place the device or system in a shielded enclosure. At the circuit level, any long signal trace on a PCB or an active device component can double as an antenna radiating EM energy. Signal interconnections can also produce unwanted EM radiation. At the system level, controlling EMI can be even harder since multiple EMI sources may exist (i.e., local oscillators within a receiver), and they may be within close proximity to components that can be impacted by the radiated emissions (i.e., frequency mixers or analog-to-digital converters). When all of these components are packed within a metal enclosure, the enclosure can provide a means of achieving an effective ground to reduce EMI. Any design can be susceptible to EMI. Because of the need to control EMI, an industry has grown up around the development of shielding materials such as gaskets and board level shielding (BLS), which are added to the enclosure of an electronic product to achieve electromagnetic compatibility (EMC). Just how well an EMI shield works is measured by its shielding effectiveness (SE). Figure 1 • Soldered finger-stock ring at the end of an outer conductor with a broken finger. EMI shielding is essentially any barrier placed between an EM emitter and a susceptible device, designed to reduce the field strength of the emitter. The losses in EM emitter field strength are a function of the barrier’s electrical and physical characteristics including permeability, conductivity, and thickness; EMI frequency; and the distance from the EMI source to the barrier/shield. In addition to EMI shielding, it is of considerable importance for a microwave/RF system to have good uniform electrical contacts between separate parts (i.e., a microwave component and a cavity wall) to realize an EM field with little reflection, leak-free connections, and leak-free sealing at any water-cooled parts. Flange connections of waveguides are another connection needing good uniform electrical contact. 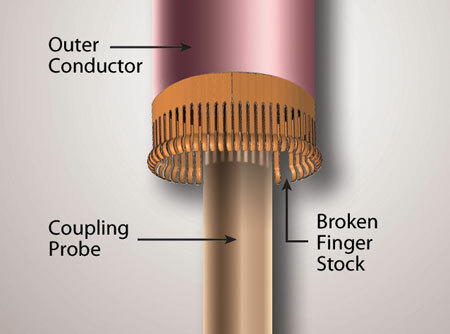 Figure 1 illustrates a soldered finger-stock ring at the end of an outer conductor that has a broken finger. You can see that the rest of the finger-stock ring shows no damage. This article will discuss some of the available shielding products for use at both the printed circuit board level (board level shielding) and the system level (gasketing). In most cases, device manufacturers rely on shielding suppliers for the technical capabilities and knowledge needed to suppress EMI. EMI shielding remains a challenging task. Figure 2 • Board level shielding (BLS) can be manufactured in one-piece, two-piece, multi-cavity, and custom configurations. Near-field effects: When the shield is in the near-field of the source, shielding performance will be impacted by the frequency of the source, the field configuration, position of the source, and distributed inductances and capacitances. In other words, the approach now becomes a “coupling” problem and should no longer be considered a radiated problem. Even when accounting for the apertures in a shield, calculating or estimating shielding effectiveness could still fall short of approximation. The coupling of the source to the shield, the effect of mutual coupling between elements, effect of the shield termination, and grounding technique all need to be accounted for. Currents diffusing through the shield, shield bends and corners, and the resultant generated external voltages also need to be considered. Layout and hole considerations: The effectiveness of BLS is highly dependent on the proper design of the printed circuit board mounting area. Normally, the sixth side of this “box” will be a ground plane on the board. The number and spacing of traces, vias, and holes running from this shielded area to other board components can affect the effectiveness of BLS. With higher frequencies and shorter wavelengths, the size and number of holes can become issues along with thermal effects. However, this concern is tempered by the near-field effect. 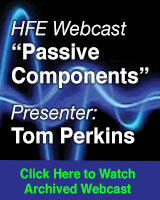 Capacitive and inductive coupling are more significant than aperture size for shielding. 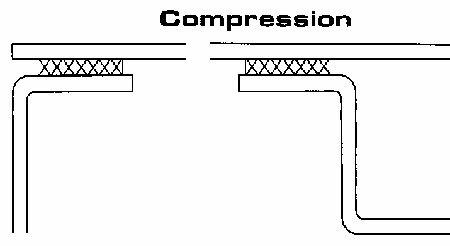 Figure 3 • Gasket application: compression configuration vs. shear application. Resonances: Another issue with higher frequencies is resonance effect (its coupling is a consequence of self-resonance of various structures). 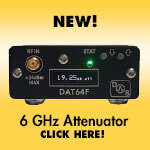 A 2-inch by ½-inch enclosure resonates at a first order mode of around 12 GHz. Even weak coupling at these high frequencies can induce strong oscillations that can then couple to any other point in the enclosure. Thermal management: As devices become faster in frequency, they generate more heat. Hence, thermal management is also a design factor. 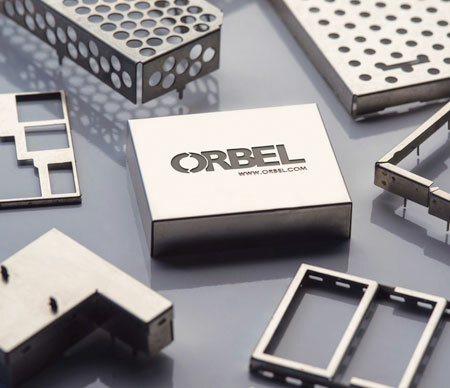 Thermal management can be achieved through the use of thermal pads and heat sink—companies like Orbel can assist with various design options that may be available. Gasketing is used to maintain shielding effectiveness through proper seam treatment. It is the effect of seams, in general, that accounts for most of the leakages in an enclosure design. The shielding effectiveness of a seam is dependent on materials, contact pressure, and surface area. Gaskets maintain conductive contact across mating surfaces. A solution to radiated problems is found by making all seams of adjoining metal pieces continuous. If there is no continuity between metal pieces, a radiating aperture for RF currents is created. This is where gasketing can be used. Figure 4 • BeCu gaskets deliver the industry’s highest EMI shielding effectiveness and are available in a variety of finishes. These conductive surfaces must be cleaned of any insulating finish. Although close-spaced fasteners (approximately 25mm or 1”) can be used alone, gaskets are preferred in order to reduce the number of fasteners and compensate for mechanical variations or joint unevenness. Most gasket applications involve two types of forces, compression and shear. When gaskets are installed under a flat cover panel in a compression configuration, pressure is used to preserve the shielding effectiveness of the seam. The alternative is a shear application where a flange or channel arrangement is maintained to preserve the shielding effectiveness and no sliding action occurs. Beryllium copper gaskets: BeCu gaskets offer the highest level of attenuation over the widest frequency range and are useable in both compression and shear applications. Solid fingers have greater cross-sectional area, hence higher conductivity. In addition, the finger shape has the characteristics of an interconnecting ground plane with a large contact area. The inductance will therefore be low as well. The movement of the finger shape also provides a “wiping” action that aids in penetrating or removing any oxide buildup in the contact area. They are very forgiving to compression, meaning that it is very difficult to over-compress them causing compression set or breakage. Potential problem areas, depending on frequency range, are the slots between the fingers. At sufficiently high frequencies, these slots begin to permit RF energy transmission through the bounded slot configuration. Figure 5 • Metalized fabric gaskets from are manufactured with a polyurethane foam core and nickel-plated copper-conductive fabric. 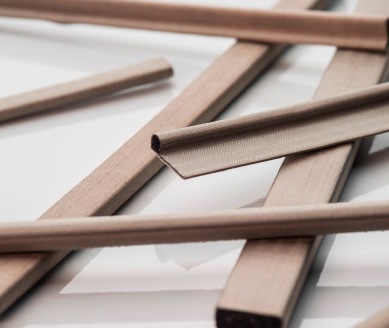 Metalized fabric gaskets: These gaskets are made of conductive fabric material over foam. Conductivity can be very low and hence offer very high attenuation—the amount of attenuation is determined by the level and matrix of the conductive particles used, and the compression force. These gaskets come in various styles and shapes (rectangular, square, D-shaped, bell-shaped, knife-shaped, etc.) that allow various compression ranges down to low values. Generally, either of these gasket types will provide effective shielding (mechanical characteristics and cost generally determine choice of gasket). The effectiveness of the gasket is dependent on the use of proper design guidelines. Regardless of gasket type, important factors that must be considered during the selection process are RF impedance, material compatibility, corrosion control, gasket height, compression force, compressibility, compression range, compression set, and environment. 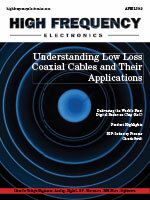 For RF impedance control, high conductivity and low inductance is desired. It should not be a surprise that BeCu has the highest conductivity. Corrosion: Corrosion is a concern as it can lead to reduced shielding effectiveness due to causing the gasket material to become insulative or creating new problem frequencies through nonlinear mixing. There are two types of corrosion. The most common is galvanic corrosion and is due to contact between two dissimilar metals in the presence of moisture. The second type is electrolytic and is due to current flow between two metals in the presence of an electrolyte. For commercial applications within controlled environments, galvanic-compatible materials are those within 0.5 to 0.6 volts. Typical galvanic activity is shown in Figure 6. Compressibility: The height or diameter of the gasket must be large enough to compensate for the joint unevenness of the mating surfaces for the force applied (compressibility). The difference between the minimum and maximum compressed gasket height should equal the joint unevenness. Figure 6 • Typical galvanic activity. Compression force: Compression force is the force required to achieve maximum shielding effectiveness. The higher the pressure or compression force, the lower the impedance. A minimum closure force is recommended to obtain low surface contact resistivity and effective shielding. Minimum closure force is the pressure required to break through corrosive and oxide films to make a low resistance contact. Therefore, if insufficient pressure is applied to the seam, a high contact resistivity will exist and reduced shielding effectiveness will result. For a good joint seal, there needs to be low surface contact resistivity as well as low gasket resistivity (i.e., high gasket conductivity). An EMI/EMC/EMP/ESD consultant with close to 50 years of experience, Ed Nakauchi has worked on projects for the Space Shuttle; the Global Positioning Satellite; Disneyland’s Splash Mountain and Rocket Rod rides; the U.S. Navy, Army, and Air Force; and Tesla Motors. Nakauchi received his AA and Technician Certificate from Orange Coast College, his BSEE from Northrop University, and his MSEE from Columbia Pacific University. He is a NARTE Certified EMC/ESD Engineer and Master Design Engineer with senior life membership in the IEEE. Since 1961, Orbel’s custom design and manufacturing process has enabled unique engineered solutions for a variety of applications and industries. 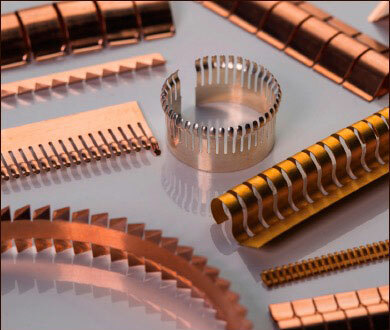 From conception through delivery, Orbel offers today’s most effective EMI/RFI shielding, photo-etched precision metal parts, precision metal stampings, and electroplated metal foils. Areas of specialization include microwave/RF, aerospace, telecommunications, electronics, medical, automotive, and manufacturing. For more information, visit Orbel.com or call 610-829-5000.